Hi All The next Society meeting is on Sunday 11th August 7:30 PM at Pedro's Castle. Ive been told there is a big wedding the day before so hopefully the “lights” will have been broken down (!) by the time we get there. If its still flood lit then we will move to the cemetery across the road. Where ever we are remember to dip your car headlights on approach. Members of the public are welcome free of charge but its only a modest 25 CI to join us. There will be a meeting of the Society next Wednesday evening 10th July starting at 7:30 PM, at Pedro's Castle in Savannah. 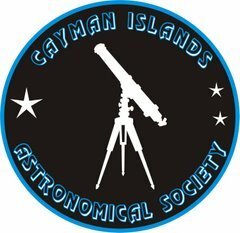 There is also a solar viewing session planned THIS Saturday 6 July to CIAS members or past attendees of the recent evening courses held at the UCCI college called "Introduction To Astronomy". This is a morning of Solar viewing where interested parties will be able to see various techniques to observe the Sun - assuming there is no cloud cover of course. Time planned are 10:00 AM until 12:00 - Again ring or text me if you plan to come but the weather is not good. Used CAYMAN STAMPS are treasured collectors’ items throughout the world. they are being collected by heather haines to support a dog rescue fund in the UK. equally appreciated are ALL caribbean stamps- and also any and all other world stamps. in other words, ALL stamps help the cause!! THANK YOU to the many people who have already donated cancelled postage stamps to the Irish Wolfhound Rescue Fund.BUT REMEMBER this is an ongoing project, so keep those stamps coming!!!! THANKS!!!! OR drop them off at ISLAND VETERINARY SERVICES addressed to heather haines.